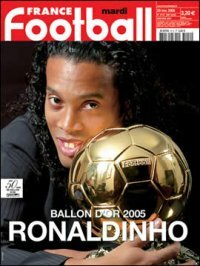 For his 60th anniversary the prestigious French magazine France Football, which every year gives the award for European Footballer of the Year (or “Golden Ball” a.k.a. “Ballon d’Or” as the French call it), has just announced a major novelty in their award eligibility. From now on, the award will simply be given to the ‘Best player in the World’, with no distinction as to his nationality or the league he currently plays in. In addition, the awards’ jury has been extended from 53 to 96 journalists all across the world, therefore no longer being limited to Europeans. Since its creation in 1956, this is the award’s ‘third revolution’ if one may call it that way. 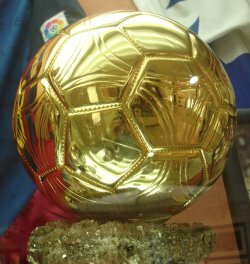 Until 1995, the Golden Ball was awarded to the best European player, but the requisite of the award was precisely that the player had to be from an European country. 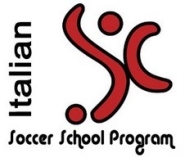 In 1995, the award was extended to any player which competed in an European League, and the first athlete to immediately benefit from this change was Liberian AC Milan striker George Weah. In 2007, the new edition (which will officially begin on October 23, the day on which France Football will publish the list of the 50 candidates) will be global, meaning that players from all continents will now be eligible for the award. One has to wonder on the minute chances that someone outside of Europe may actually win the prize (since the top football leagues –and therefore the top players– are all located in Europe), but it is a nice innovation nonetheless. The announcement of the winner of the 52th edition will made on live television on December 2, on the French TV channel TF1. This entry was posted on Tuesday, September 25th, 2007 at 6:42 pm	and is filed under World News. You can follow any responses to this entry through the RSS 2.0 feed. Both comments and pings are currently closed.